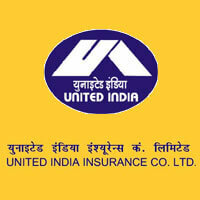 United India Insurance Recruitment 2019 - Administrative Officer -MEDICAL(Scale-I) Posts : United India Insurance Co. Ltd., a leading Public Sector General Insurance Company wholly owned by Government of India, invites applications from Indian Citizens for the post of Administrative Officer -MEDICAL(Scale-I) who fulfill the eligibility criteria.  Candidates belonging to OBC category but coming in the “CREAMY LAYER” are not entitled to OBC reservation and age relaxation. They should indicate their category as “GEN”. The selected candidates would be posted at Company’s Head Office or at any of the Company’s Regional Offices all over India. The management retains the right to post the candidate to any of its Offices within the country. (e) a person of Indian origin who has migrated from Pakistan, Burma, Sri Lanka, East African countries of Kenya, Uganda, the United Republic of Tanzania, Zambia, Malawi, Zaire, Ethiopia and Vietnam with the intention of permanently settling in India. Provided that a candidate belonging to categories (b), (c), (d) and (e) shall be a person in whose favor a certificate of eligibility has been issued by the Government of India. (B)Educational Qualification (as on 31.12.2018): A candidate must possess the minimum qualification of M.B.B.S. Degree or equivalent foreign degrees, which are recognized as equivalent to M.B.B.S. degree by the Medical Council of India, from a recognized University and must be holding a valid registration from Medical Council of India or any State Medical Council. The decision of the Company will be final in this regard. Working knowledge of Computer is preferable. (C) Age (As on 31.12.2018) A candidate must be of the minimum age of 21 years and the maximum age of 30 years as on 31.12.2018. (3) Emoluments and Benefits: Rs.63,000/- p.m. (approx.) Basic pay in the scale of Rs.32795-1610(14)-55335-1745(4)-62315 and other admissible allowances as applicable in terms of the General Insurance (Rationalization of Pay Scales and other conditions of service of Officers) Scheme, 1975 as amended from time to time. Besides emoluments, other benefits like Non Practicing Allowance @ 25% of Basic Pay, Gratuity, LTS, Medical Benefits, Group Personal Accident Insurance, Performance Linked Incentive (PLI) and National Pension System as applicable would be extended as per rules of the Company. The Officers are also entitled for Company’s leased accommodation as per norms. (4) Service Conditions: As applicable in the company from time to time. Posts are permanent and the selected candidates on appointment may be posted or transferred to any place in India as may be decided by the Company. No private practice will be allowed. (5) Selection Procedures: The final selection will be based on the personal interview of the short listed candidates conducted by the Company. Outstation candidates called for interview will be reimbursed to and fro AC Second class rail fare/bus fare by shortest route from the station of residence to the place of interview on production of evidence of having undertaken journey for interview purpose. (6) Probation: Selected candidates if certified to be medically fit may be appointed as ADMINISTRATIVE OFFICER (SCALE-I)Medical on probation for a period of one year which may be extended by a further period of six months. The company reserves the right to terminate the service of the candidate if found unsuitable at any time during the probationary period or the extended probationary period without any notice or assigning any reason thereof. During the probationary period, candidates may be required to undergo theoretical/practical training as may be prescribed/arranged for them. During the probation period the Officers would be required to pass the non-life “Licentiate Examination” conducted by Insurance Institute of India. Only after passing the said examination the Officer will be eligible for confirmation of his services in the Company. Failure to pass the said Examination within the extended probation period will render the officer liable to be terminated from service on expiry of the period so specified. (7)Guarantee Bond: Before joining as probationer, the selected candidates will be required to give an undertaking to serve the Company for a minimum period of two years including probationary period. He/she shall execute an agreement to serve the company for a minimum period of two years and in the event of their resigning from the company before the expiry of the bond period, they will be liable to pay liquidated damages of Rs.One Lakh. A bank guarantee secured from a nationalized bank or a fixed deposit in a nationalized bank with the lien of the company shall be produced at the time of joining the services. The bank guarantee/fixed deposit shall be live for two years. In the event of failure to serve the minimum period, the bank guarantee/fixed deposit will be invoked. No lien/bond executed to retain a substantive post with present employer will be binding upon the company and no leave salary or pension contribution will be made. 1. Applications should be on A4 paper neatly types or handwritten in CAPITAL LETTERS and in the prescribed format only. Applications submitted in any other format will not be accepted. ii. Chief Presidency Magistrate/Additional Chief Presidency Magistrate/presidency Magistrate. iv. Sub-Divisional Officer of the area where the candidate and/or his family normally resides. 4. In so far as the Scheduled Tribe communities of Tamil Nadu are concerned, only the certificate given by the Revenue Divisional Officer (instead of Tehsildar) would be accepted. 5. For claiming reservation under OBC category, candidate should belong to such Caste or community, which is common to both the lists in respect of Mandal Commission and the State Govt. Lists from the State of his/her origin (as per the list published by the Central Govt.) The benefits of reservation shall not apply to persons/sections belonging to “Creamy Layer” as specified vide column 3 of the Schedule of the Department of Personnel and Training OM No. 36012/22/93-Estt (SCT) dated 08.09.1993. Candidates should produce certificate (at the time of interview, if called) as per pro-forma prescribed by Ministry of Personnel, Public Grievance and Pensions, Government of India, which should include that they do not belong to “Creamy Layer”. 6. Persons with Benchmark Disability Category, are required to submit a certificate regarding Disability in the prescribed format issued by the District Medical Board. 7. An Ex-serviceman candidate has to produce a copy of the Service or Discharge book along with pension payment order and documentary proof of rank last/presently held (substantive as well as acting) at the time of interview. Those who are still in defence service should submit a certificate from a competent authority that they will be relieved from defence services, or or before 30.04.2019. 8. Candidates serving in Govt. Quassi Govt/Public Sector Undertaking are required to send their application through proper channel. However, they may send an advance copy of the application so as to reach within the time stipulated. 9. Candidates serving in Govt./ Quasi Govt. offices/Public Sector Undertakings (including Nationalised Banks and Financial Institutions) are required to produce a “No Objection Certificate” from their employer at the time of interview. In the absence of which their candidature will not be considered and travelling expenses if any, otherwise admissible, will not be paid. 10. Persons eligible for age relaxation under 2 ( C) (6)above must produce the domicile certificate at the time of interview from the District Jurisdiction where he/she had ordinarily resided or any other authority designated in this regard by the Government of Jammu & Kashmir to the effect that the candidate had ordinarily domiciled in the Kashmir Division of the State of J & K during the period from 01.01.80 to 31.12.89. 11. Persons falling in categories (b), (c), (d) and (e) of 2(A) under Nationality criteria should produce a certificate of eligibility issued by the Government of India. 12. Company reserved the right to restrict the number of candidates to be called for interview commensurate with the number of vacancies. 13. Minimum qualification of M.B.B.S. Degree or equivalent foreign degrees, which are recognized as equivalent to M.B.B.S. degree by the Medical Council of India, from a recognized University and a valid registration from Medical Council of India or any State Medical Council is essential and those without this qualification are not eligible for the post. 14. Company has its offices throughout India and the company shall have the prerogative to decide on allotment and posting of the selected candidates depending on the requirement and not at the candidate’s choice and no requests in this regard would be entertained. 15. The decision of the company will be final and binding in all matters. 16. The company takes no responsibility for any delay in receipt of or loss in transit of any application or communication at any point of time during the recruitment exercise. 17. Company reserves the right not to call any candidates to appear at the interview. 19. The candidates would be required to submit the attested copies of certificates in proof of their age/date of birth, educational qualifications, community to which they claim to belong etc. at the time of interview and the originals for verification. 20. In case, if it is found at any stage of recruitment, the candidate does not fulfill the eligibility criteria and/or he/she has furnished any incorrect/false/incomplete information or has suppressed any material fact(s), his/her services are liable to be terminated forthwith. Before applying for any post, the candidate should ensure that he/she fulfills the eligibility and other norms mentioned in this advertisement. The decision of the Company in respect of matters concerning eligibility of the candidate, the stages at which such scrutiny of eligibility is to be undertaken, the documents to be produced for the purpose of conduct of interview, selection and any other matter relating to recruitment will be final and binding on the candidate. 21. Any resulting dispute arising out of this process/advertisement shall be subject to the sole jurisdiction of the courts situated in Chennai. 22. The Company shall not entertain any correspondence or personal enquiries. 23. Canvassing in any form will disqualify the candidate for consideration for the posts. 24. Candidate satisfying the eligibility conditions may send their applications in the format given below. 25. The Company will not be held liable for any Postal delay caused in receipt of application before the cut off date ie.28.02.2019. 26. The Company reserved the right to cancel the above Recruitment Exercise at any stage of the process without assigning any reason thereof.